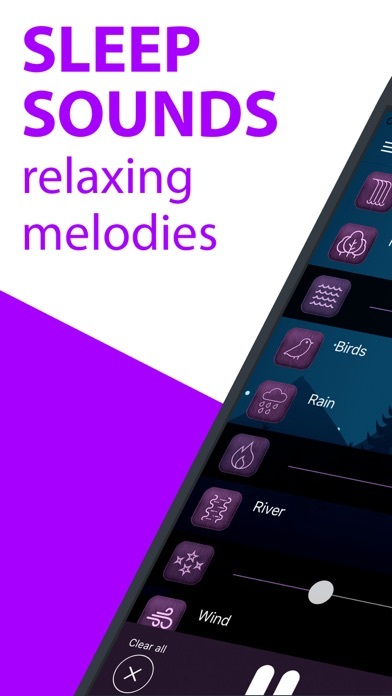 App provides relaxing nature & ambient melodies to help you relax and unwind from your stressful day. The app is the perfect companion for your daily routines like meditation, yoga and going to sleep. Nature Sounds, Birds, River, Waterfall, City Wind, Fan, Hairdryer, Driving in the Rain, Fog Horns, Heartbeat, Birds and Chimes, Cat Purring, Rain, Distant Thunder, Ocean Waves, Winter Wind, Roaring Fire, White Noise and many others relax sounds. 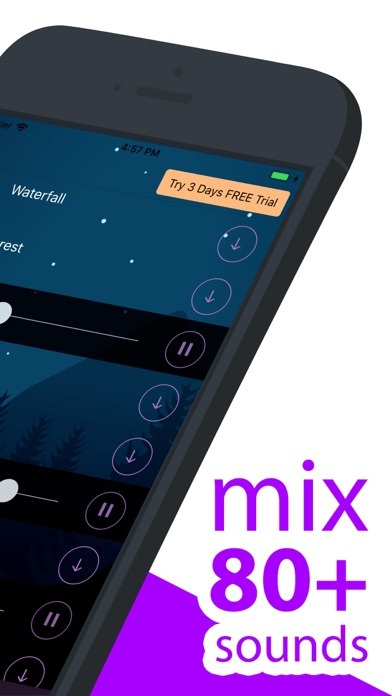 Select sounds and melodies that you like, combine them and adjust the volume of each sound to create a mix. 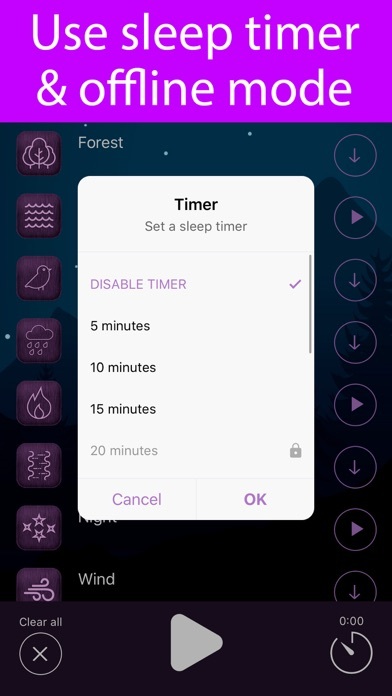 Try the “magic” app that has people saying goodbye to that third cup of coffee and hello to sweet dreams! Install app now & try today. And since app comes with a 3-day free trial option, there is no harm giving it a try and explore the features for yourself. - a monthly subscription for $7,99 USD with 35% OFF.